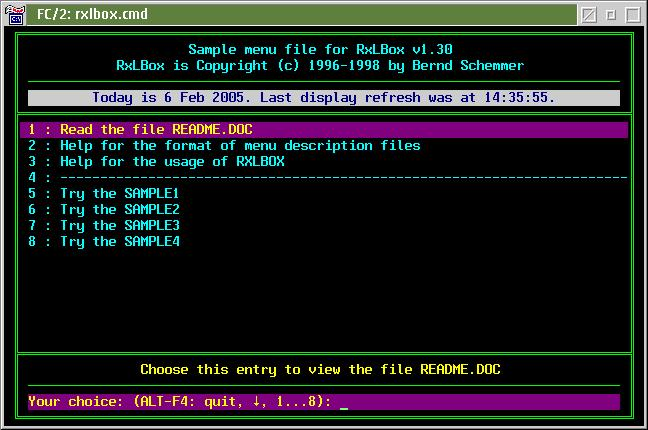 RXLBOX is a textmode menu program for OS/2 written in REXX. RXLBOX needs no further DLLs - even REXXUTIL is not needed. RXLBOX uses only ANSI sequences and ASCII codes to implement the menu. 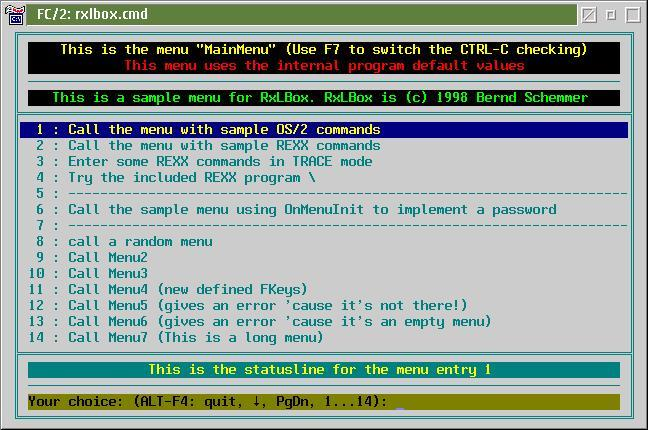 RXLBOX uses the cursor keys, function keys and a command line for navigating through the menus. Nested menus are also supported. RXLBOX also supports menus for user input. RXLBOX is completly configurable using a menu description file (including menus, messages, online help screens, function keys and macros). RXLBOX also supports an external message handling routine for language dependent usage. 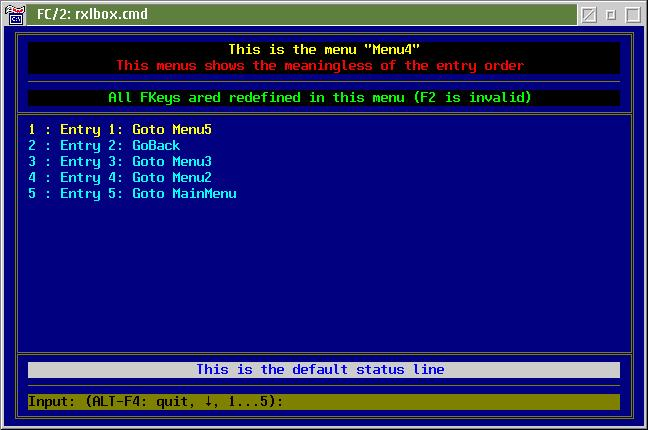 RXLBOX uses REXX as macro language in the menu description file. RXLBOX uses the EXTPROC feature of the CMD.EXE. 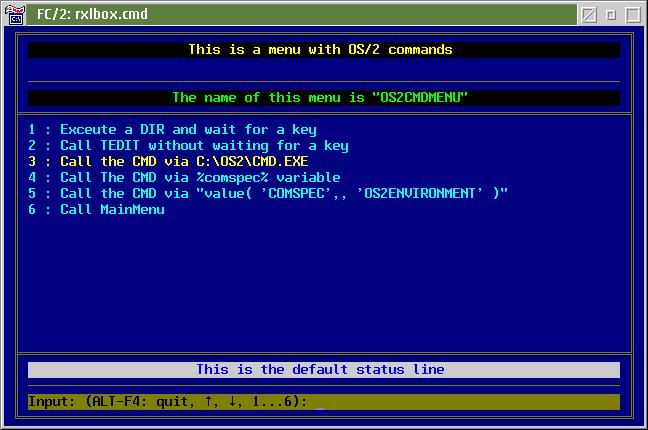 Using this feature you can simply call your menu files from within a OS/2 session. StatusLine = Choose a menu entry to test RXLBOX. menu displayed by RxLBox if it's called with no menu parameter. Each online help can have up to 14 lines with up to 69 characters. Use <CTRL-F1> to call the online help with the function key description. Use <ALT-F1> to call the online help with the input line description. to scroll through the menu. Use <CTRL-F1> to call the online help with the key description.